Apparently, your existing surveillance camera could feel a bit rusty when you put it next to the Butterfleye. 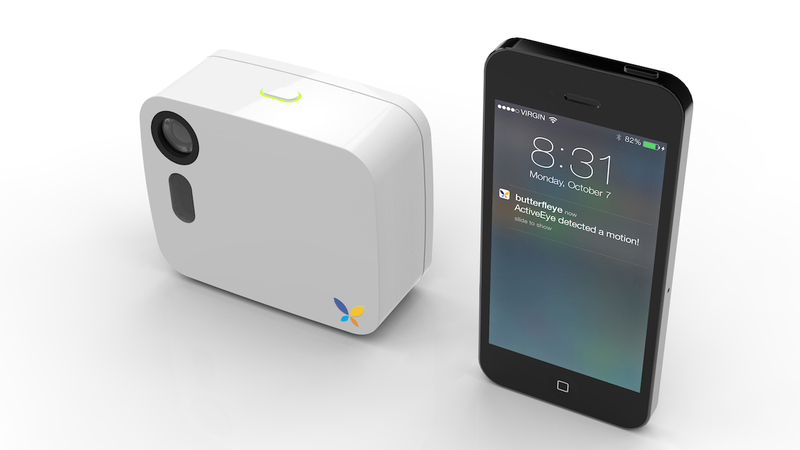 It’s the first home monitoring camera that’s completely wireless. It’s actually portable that you can even bring it outdoors. The Butterfleye runs on batteries. As such, it actually gives you the freedom to put it anywhere in your home. You can even take it outside with you when you go for that picnic you planned with your friends this weekend. The batteries can take around two weeks before you may need to recharge them through its micro USB cable. However, you can still choose to keep the device plugged into a power source. The Butterfleye also knows when it should record and when it should shut down. It has an intelligent camera system that senses if it should start taking videos. Its manufacturer calls this the Active Eye Intelligence. It uses a software for video analysis and learning algorithms to detect if someone is in your room. 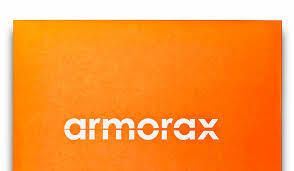 It also has multiple sensors such as Sound, Light, Movement, Thermal and even Infrared for such function. Moreover, the Butterfleye can listen. It can actually hear movements and uses such sounds as triggers to start recording. It also has face detection and will start recording the moment it recognizes a face within its coverage. If your dog is particularly camera-friendly, you may get a shot or two while you’re away. The device has a two-way talk feature. Other than its capability to listen, it also allows you to talk to a family member at home or even your dog- if he happens to be in front of your camera. Other than sitting in your living room and recording everything, the Butterfleye uses its sensors to know if someone has entered the room. Only then will the Butterfleye will start working. This feature makes sure that you only get video recordings of important events and not fill your storage with “empty videos” taken in HD resolution. 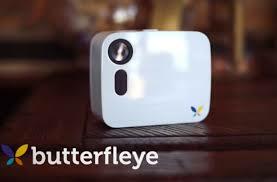 Interestingly, the Butterfleye also allows instant sharing of your videos or pictures to social media sites. If you’re wondering how other people can get interested in your surveillance, the Butterfleye can actually take pictures of your important life events as well. Remember, it’s wireless right? You can actually take it to a picnic, a birthday party or a simple gathering. You can also set it up at home for your celebration. Just leave it at a corner and it can take pictures and videos of the entire event. You can browse through the files the next day and just choose the best shots that you want to share with your friends online. Furthermore, the Butterfleye works on Bluetooth technology. It knows when you are home and, in effect, can stop recording once you are inside. You won’t have to worry about constantly picking up your phone to engage and disengage your surveillance. Butterfleye doesn’t simply record videos. It records your life events in 1920×1080 full HD quality. It has a wide angle 3 MP camera that can capture images in good quality even in low light. If you want to stream live videos and upload your images and recordings, you may need to connect your Butterfleye to the internet. However, if you don’t have any connection available, you can save your videos locally to a built-in storage. Each Butterfleye has the ability to save 12 hours of high-quality videos. You can eventually upload them once you’re able to connect to the internet. Other than checking for connection availability, the Butterfleye is also able to detect your internet speed. It can automatically adjust, like lowering its resolution, so you get continuous streaming. 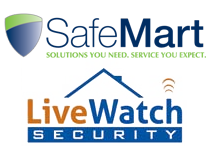 Other than recording life events, the Butterfleye was primarily innovated to secure your home. It’s actually an active, multi-purpose camera. 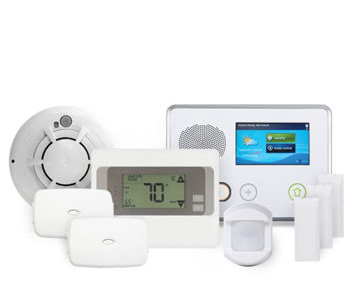 It has heat detection to know any rapid changes in your home’s temperature. It’s actually helpful to know if there is fire or signs of it, so you can respond faster. It also has movement detection to know if someone is sneaking in your room. 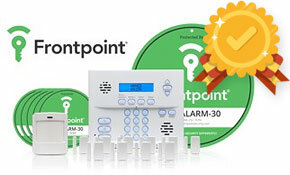 Moreover, it has face recognition so there’s no need to rush over a pet-triggered alarm. The Butterfleye knows if it’s your dog or an intruder. The device has its own mobile app. For setting up or making changes and updates on your unit, you only need the app and a smart phone to get started. The app can work on your iOS and even on your Android devices. You don’t have to make several accounts if you have many Butterfleye devices at home. One account can hold as many as you want. Also, there’s an option for you to share your account with another user. It can have the same access as yours. As per device, you can link several smartphones as long as they have the app installed. The app also lets you know your device’s battery status. You can view it anytime you want. However, if your device’s battery status reaches 25% or lower, you’ll start receiving notifications. When you purchase a Butterfleye unit, you get to receive a free one day Cloud service. If that isn’t enough for you or if you want to take a look back at your old videos, you can subscribe to a seven-day plan at $9.95 monthly or have it for a 30-day plan at $29.95 per month. However, Butterfleye can’t offer you a refund in case you’re not satisfied with their device. You can’t also expect a replacement after the device has been shipped other than if it’s defective. Once it has been shipped, your payment will be non-refundable.